Just wanted to give the locals... and anyone passing through the Land of Enchantment... the heads up that Meow Wolf is open again. The attraction was closed from January 17 to February 1, alas, but for all the best reasons. 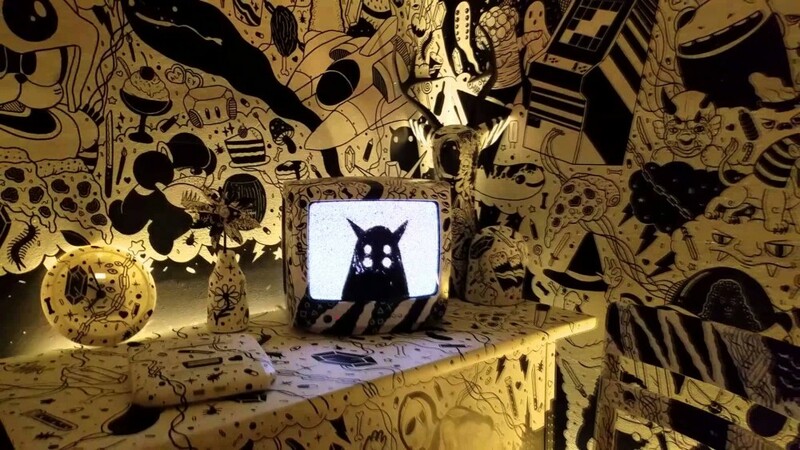 Not content to rest on their (by now considerable) laurels, the amazing Meow Wolf collective decided to make the House of Eternal Return even cooler by adding some new rooms and revamping some old ones. So now there are even more secrets to uncover and portals to explore. 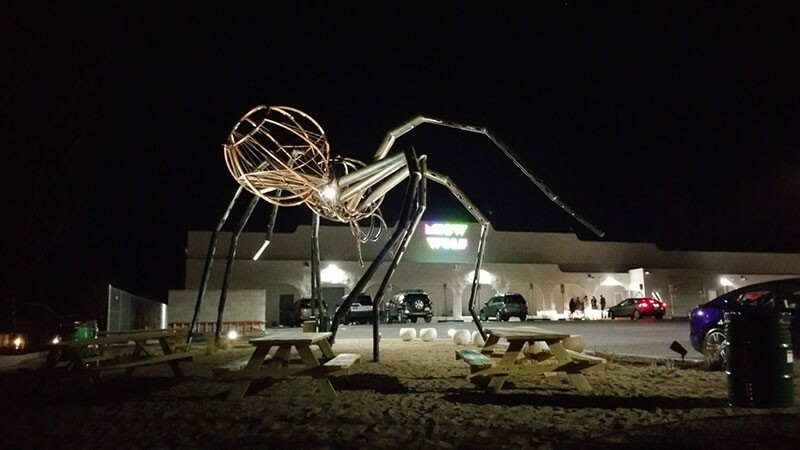 It's been an amazing year for Meow Wolf, by the way... less than a year, actually, since we're still a month and a half shy of our first anniversary. You always hope for success when starting any new project, and when the project is as new and different and creative as this one, you cross your fingers and mutter a prayer to whatever deities you believe in. A year ago, as the Meow Wolf artists were madly pushing to finish everything before the scheduled opening, the hope was that we would be able to draw 100,000 visitors to the attraction every year. If we managed 150,000, that would have been occasion for celebration. 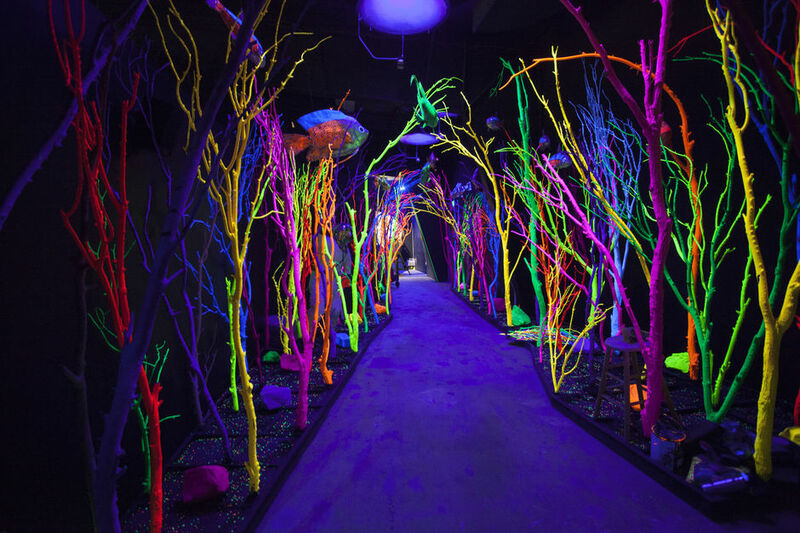 Well, Meow Wolf hit that mark within the first three months, and by now, some ten and a half months since the opening, more than 400,000 people have visited the House of Eternal Return. If you're not one of them, hey, you don't know what you're missing. Meow Wolf has become the most Instagramed place in New Mexico, surpassing even White Sands, Carlsbad Caverns, and the Albuquerque Balloon Fiesta. And the reviews on TripAdvisor and Yelp will blow your mind. All this success, all this coolness, all this good work... I can't take credit for any of it, really. I am just the landlord. But I am proud to be associated with it. The artists and creators of Meow Wolf are an incredible bunch of people, and they've made Santa Fe, New Mexico, and the world a better place with their energy, imagination, and hard work. And the best part is, they've just begun. Denver, Austin, Los Angeles, watch out for spiders and giant robots, you never know what might turn up on your doorstep. May I brag that my bestie who is the oldest friend (still going strong) I have from when I was 17 was a contributing artist? we're from the county up the Palisades Parkway after NJ. :) Tina is oozing with talent! You met her once or twice and she reported that you are very authentic. (But we all knew that anyway!) I have a photo of you two at the JC. So happy about it! Congratulations to Meow Wolf and their generous landlord! It's wonderful to see something so creative get the love it deserves. Are they planning on opening a Denver location? Or are they simply bringing the robots and giant spiders via financial support to local DIY spaces? We are looking at Denver for a possible expansion, yes. It would be a whole new thing, not a duplication of Santa Fe. Meow Wolf looks simply amazing. The neon forrest installation is awesome. And speaking of big new installations, NASA just confirmed we have a second mini moon circling the planet. Let's hope it doesn't get too close to the sun to let all the dragons pour forth. Didn't know about this-how very cool!!! Wow -- I second the comment on Denver -- we would welcome a second location up here, though I will add that to my list next time I'm in Santa Fe. It looks like an incredible space for creativity, congrats on helping foster that. Truely too weird to describe! I'll admit I was a skeptic when first I heard you were investing time and money into another Santa Fe 'Art gallery,' at least that is what I believe it was first described as. After visiting numerous times now I still am blown away! It is also the most amazing concert venue conceivable! (see ya at the Grateful Dead tribute band!) Congratulations to you and all the amazing artists! I had one question, in one room I thought I saw some critters reminiscent of what I imagined 'Sand Kings' might look like. Did you have any input into the rooms or the story behind the house? Re: Truely too weird to describe! No, not as yet, the House of Eternal Return was entirely created by the members of Meow Wolf. There is an event in Santa Clara called Winter Wonderland and they have a similar underwater forest. They hold it at Great America. Of course, it's probably nicer in NM. Everything in CA is too crowded. Good Morning Mr. Martin - I must have missed your Super Bowl recap post where you discuss how Tom Brady is the greatest QB of all time ;-). Hello, George! Sorry for the offtopic question, but it just came up to my mind and I decided to ask you. A few years back I read an interview where you teased that Tyrion and Dany would meet in TWOW. It sounds very cool and intriguing and their chemistry is pretty good on the show as well, but the show doesn't have a system of POVs. What got me a little bit anxious is that since if they meet and interact with each other, those interactions can be shown only through the eyes of only one of them. Not much point having the same chapter twice in one book, right? That leads to the question: does this mean that you intend to retire one of them as a POV (at least for a time) or separate them somehow, so that you don't have to "retire" one of them? Sorry, no comment. This is a Meow Wolf topic. Can't wait for the Denver opening! Any estimate as to when? It's all speculative at this point. Is Stanley Donwood a collaborator? The photos remind me very much of his work. Is he a member of Meow Wolf? They have more than a hundred artist involved.